Encounters with the criminal justice system or the juvenile court can be confusing and scary. I understand the fear criminal charges might trigger and the worry parents feel for a child facing the juvenile justice system. Contact me early, so I can help you assess the case and help you see possibilities instead of only problems. Meet with me. Call me. Or, email your questions. I listen to you and do not charge prospective clients for an initial consultation. You don’t have to hide from problems in the criminal or juvenile law system. You may not realize that you have options at the moment of a police stopping you, after a criminal or juvenile charge, and even after conviction of a crime. The law preserves and protects your rights throughout the criminal and juvenile law process. For years, I have represented clients in criminal and juvenile courts throughout Connecticut. I work tirelessly with social workers, police, prosecutors, and judges to achieve my clients’ goals. In many cases, knowing your options early can help you obtain a lesser penalty or no penalty at all. Your goals are my starting point. I listen to your situation, and I share my experience and knowledge of Connecticut law so you will understand your reality and options. I personally handle your case rather than delegating it to associates or paralegals and openly communicate with you throughout your case. If you are in custody, I will meet you there. You can call me on nights and weekends if needed, and know you can trust me to protect your rights. It’s your case, and my service fighting on your behalf. I am a criminal defense attorney who is always ready to calmly listen to you and assess your situation. I have represented criminal defendants for years. I bring experience handling matters from the investigation stage and through trial, appeal, and post-conviction. I grew up in Connecticut and know the legal landscapes of the criminal, civil and juvenile court systems, as well as administrative agencies such as DMV and DCF (Department of Children and Families). I strive to understand the reality of your situation, so I can achieve your goals. We personally handle all of our cases and often talk with people weekends and nights when needed. I had Chris handle multiple legal issues for me and both times he took care of them in a timely manner. I had no knowledge of the legal situations I was in so it was great having Chris handle everything for me. 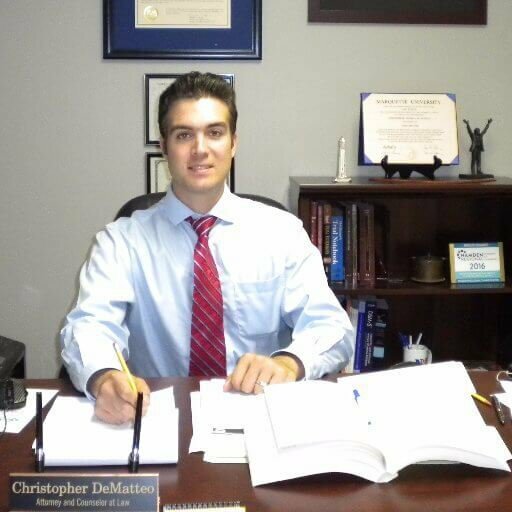 I definitely recommend Chris if you have any legal issues. Chris is extremely professional. He listens, comes up with a solution, and then lays out a plan to achieve that solution. He is focused on doing whatever he can to help out his client. Was professional, punctual and reasonably priced. Overall very satisfied. Very attentive and thorough. Highly recommended. Time is running out. Reach out. Helping in the areas you need it. Connecticut generally classifies crimes as felonies or misdemeanors, but some crimes which were once considered misdemeanors are now classified as felonies. For felonies and misdemeanors, violations and infractions provide a basis for charges against you. The same criminal statutes apply to juveniles (persons under 18) as adults. Juvenile delinquency matters emphasize rehabilitation rather than punishment, but the consequences are potentially serious. The family law division of the Connecticut Superior Court hears cases involving family relationships, like divorce, separation, custody, child support, and restraining orders. Family law provides many options for you to modify child support. Even though some cases may be appealed as a matter of right, Connecticut’s appellate rules are complex, and deadlines are generally strict. Missing a deadline to an appeal may bar your appeal. State v. Gainey- A criminal jury trial in Meriden. Client was charged with Inciting Injury to Persons. I won Not Guilty on all counts for our client. Won order of temporary custody (OTC) and neglect trials in juvenile court, which allowed my client to take her newborn son home for the first time after he was removed by DCF. Won a habeas corpus trial by demonstrating that my client's previous counsel rendered ineffective assistance, earning him earlier release from prison. Won several civil judgments in breach of contract cases for business clients. Successfully challenged drivers' license suspensions in DUI and other alcohol-related cases; stopping suspensions and reinstating my clients' driving privileges. Secured numerous notes and dismissals for my clients charged with criminal offenses, including a client who was defending herself in a domestic violence situation. Many of my clients come to me with major problems and questions. I give them option and answers. I help them understand their rights. Together we solve their legal problems. I practice law in the areas that matter most to people: their families and their freedom. Most people don’t plan to be arrested. A minor facing a juvenile judge fears the consequences. Parents seeking child support or visitation want to know their rights. Even a person convicted of a crime has rights of appeal. You possess rights which the law is required to protect. I strive to help my clients understand their rights, explore the options presented by the reality of individual cases, and then I work with you to achieve solutions. People come to me with problems and questions, and I help them find answers. I meet personally and often with every client. You won’t hear me arguing or yelling, though, just listening. I am genuinely interested in the facts of your case. You can openly and honestly share your story with me, and rather than judge you, I will help you understand your options. I grew up in Connecticut and have practiced law in the courts throughout the state for years. I personally handle all aspects of your case, from drafting documents to appearing in court. I am very accessible and often talk with people weekends and nights if needed. You can count on me to give my personal attention.